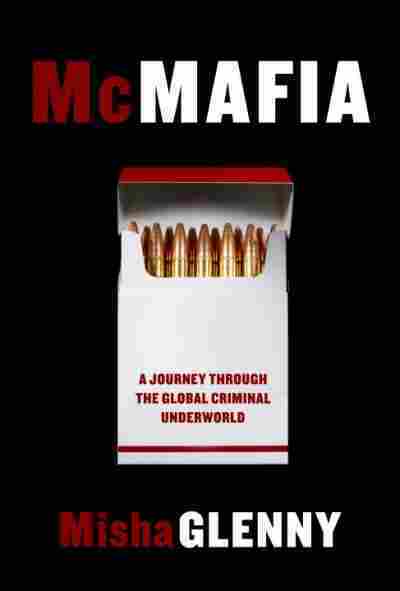 McMafia NPR coverage of McMafia: A Journey Through the Global Criminal Underworld by Misha Glenny. News, author interviews, critics' picks and more. A study of the globalization of international organized crime explains how both global crime and terrorism are fueled by Western affluence and how demands for illegal wares and services have led to the spread of organized crime. It was the evening of April 30, 1994, and spring had settled on Woking in Surrey. The Barnesbury Estate is not quite middle management, but there is no shortage of aspiration in this part of southern England. And as dusk fell on Willow Way, a quiet road of terraced housing, cars had already been garaged and families sat down for dinner and Saturday night television. At nine o’clock, a man emerged from his red Toyota outside number 31. Carrying a flat blue and white box, he strolled up to the front door and tapped on it. Inside Karen Reed, a thirty-three-year-old geophysicist who analyzed seismic data for a living, was enjoying a glass of white wine and a chat with a friend when they heard the man’s muffled voice through the window. “Have you ordered a pizza?” he inquired. Karen opened the door, whereupon the pizza deliverer drew a .38 pistol and shot her several times in the head with calm deliberation. The killer then ran back to the car and drove off. Karen Reed was not the intended victim that night. There was a reason for the murderer’s confusion, however. His real target was Karen’s sister, Alison Ponting, a producer at the BBC World Service, who was living with Karen at the time but happened to be out that evening. The killing had probably been carried out at the instigation of Djokar Dudayev, president of the Republic of Chechnya. In 1986, Alison had married a chubby Armenian charmer, Gacic Ter-Oganisyan, whom she had met a couple of years earlier while studying Russian at a university. The marriage triggered a chain of improbable events that eight years later unleashed the whirlwind of death, imperialism, civil war, oil, gangsterism, and nationalist struggle known as the North Caucasus upon the sleepy commuter town of Woking. Eighteen months before Karen’s murder, two brothers, Ruslan and Nazarbeg Utsiev, had arrived in London as envoys of President Dudayev with a brief to arrange the printing of passports and banknotes for the new Chechen state. Ruslan was the volatile Dudayev’s most trusted adviser and a hard-liner in the faction-ridden administration. His brother was a martial arts expert and general muscle-for-hire. Along with their public mandate to print the documents of the putative Chechen state, they had a number of other missions: to secure a $250 million loan from an American businessman for the modernization of Chechnya’s huge oil refineries; to conclude negotiations with the German energy company Stinnes AG for the quick sale of Chechen oil at world prices; and as investigators later discovered, to purchase 2,000 ground-to-air Stinger missiles. To embark on such complex negotiations, the Chechen government representatives needed a skilled interpreter and fixer. Ruslan remembered that he was once interviewed by a BBC producer, Alison Ponting, and he turned to her for help. She suggested her husband, Ter-Oganisyan, hoping, perhaps, that he would find gainful employment. During his time in London, Alison’s Armenian husband had developed into the consummate chancer. Ter-Oganisyan was ducking and diving: smuggling, setting up fake companies for money laundering, and also doing menial work when his tentative criminal activities dried up. Initially the macho Caucasian trio hit it off, holding raucous parties to which a stream of call girls were invited. Not surprisingly, Alison was increasingly unhappy at the behavior of her husband and the two Chechens, as were the wealthy occupants of Bickenhall Mansions, the apartment block a stone’s throw from Sherlock Holmes’s reputed domicile at 221B Baker Street in central London where the Utsiev brothers had found a flat. At some point, relations between the Armenian and the Chechens soured. Later, England’s Crown Prosecution Service insisted that Ter-Oganisyan had discovered that the Stinger missiles were destined for Azerbaijan to be deployed in the war against his home country, Armenia. There was a second theory: that the Stingers were indeed bound for Chechnya and that the Utsiev brothers and Ter-Oganisyan fell out over money. What is certain is that Ter-Oganisyan alerted senior members of the Armenian KGB to the Utsiev brothers’ activities and a couple of hitmen were dispatched from Los Angeles, the center of the Armenian diaspora in the United States, to London. The Utsiev brothers were murdered in gruesome fashion (Ruslan’s body was dismembered and only discovered when it fell out of a packing case en route to the north London suburb of Harrow). Ter-Oganisyan is now doing life for their murders, while a codefendant, an officer of Armenia’s KGB, hanged himself at Belmarsh Prison while awaiting trial. I was appalled when reading about this case at the time, not least because I discovered that Alison and Karen’s father was David Ponting, a lecturer in drama at Bristol University. His one-man show about Dylan Thomas had made a great impression on me when I studied there. David had taught me radio production, skills I would later employ as the BBC’s central Europe correspondent. After Karen’s murder, Alison accepted an offer to go into a witness protection scheme. Deprived of his children, David moved to the United States, where he worked for a while as an actor. Later, he too went underground. It was 1994, and the failing state, an unknown concept to most, was visiting Britain for the first time. The post–World War II order began to crumble in the first half of the 1980s. Its dissolution followed no obvious pattern, occurring instead as a series of seemingly disparate events: the spectacular rise of the Japanese car industry; Communist Hungary’s clandestine approach to the International Monetary Fund to explore a possible application for membership; the stagnation of India’s economy; President F. W. de Clerk’s first discreet contacts with the imprisoned Nelson Mandela; the advent of Deng Xiaoping’s reforms in China; Margaret Thatcher’s decisive confrontation with Britain’s trades union movement. Individually, these and other events seemed to reflect the everyday ups and downs of politics; at most they were adjustments to the world order. In fact, powerful currents below the surface had provoked a number of economic crises and opportunities, especially outside the great citadels of power in Western Europe and the United States, that were to have profound consequences for the emergence of what we now call globalization. There was one development, however, that had its roots firmly in America and in its primary European ally, Britain. The world was taking its first steps toward the liberalization of international financial and commodity markets. Western corporations and banks had begun to pry open markets that had hitherto maintained strict controls on foreign investment and currency exchange. Then came the fall of Communism in 1989, first in Eastern Europe and then in the mighty Soviet Union itself. Out of ideas, short of money, and beaten in the race for technological superiority, Communism fizzled out in days rather than years. This was a monumental event that fused with the processes of globalization to trigger an exponential rise in the shadow economy. These huge economic and political shifts affected every part of the planet. In some areas, such as the United States, the early 1990s saw a dramatic increase in personal income. South Africa prepared for the end of apartheid, the most excoriated political system in the world. The people of the Soviet Union—effectively closed to the West for seventy years—had to adjust to a new life, one in which their government no longer exercised control over them from cradle to grave. In Latin America, the military regimes and their brutal abuse of human rights fell into disfavor, to be replaced by the immense political test of managing capricious national debt. Overall, there was a significant worldwide upsurge in trade, investment, and the creation of wealth. The latter was, however, distributed very unevenly. Countless states found themselves cast into the purgatory that became known as “transition,” a territory with ever-shifting borders. In these badlands, economic survival frequently involved grabbing a gun and snatching what you could to survive. The fall of Communism was, of course, a great victory for the West, demonstrating the superiority of the world’s democracies over Communist dictatorship in every respect. Europe celebrated the unification of Germany and the liberation of many East European countries. The new Russia was quite content, it seemed, to give up its military dominance of the region, disbanding NATO’s erstwhile rival, the Warsaw Pact. Initially reluctant, Moscow then allowed the other peoples of the dying Soviet Union to form their own independent states, fulfilling their national aspirations. Looking back, this was the high point of my own life. In my teens, I had become involved in Western organizations supporting the beleaguered opposition throughout Eastern Europe, such as Poland’s Solidarity or Czechoslovakia’s Charter 77. I had done everything from translating documents to smuggling dismembered photocopying machines across the Iron Curtain to the dissidents. And so when I stood five yards behind Czechoslovakia’s great moral leaders,Václav Havel and Alexander Dubcek, as they addressed their public from a balcony above Prague’s Wenceslas Square in November 1989, I felt both a sense of real achievement and cautious optimism about the future of Europe and the world. This initial euphoria was soon dampened by indications, admittedly in rather obscure places, that the new world of peace and democracy might face some teething problems. In the Caucasus along Russia’s southern border, sporadic reports emerged of fighting in obscure pockets of the region. In parts of Africa, such as Angola, wars that had started as proxy conflicts between American- and Soviet-backed forces did not mimic the cold war by coming to an end—if anything, they intensified. Then the former Yugoslavia dissolved into a murderous civil war, presenting the new united Europe with a challenge that it was entirely unable to meet. The new circumstances bewildered old international institutions. All had to improvise and no party quite understood the implications of its actions or their unintended consequences. One group of people, however, saw real opportunity in this dazzling mixture of upheaval, hope, and uncertainty. These men, and occasionally women, understood instinctively that rising living standards in the West, increased trade and migration flows, and the greatly reduced ability of many governments to police their countries combined to form a gold mine. They were criminals, organized and disorganized, but they were also good capitalists and entrepreneurs, intent on obeying the laws of supply and demand. As such, they valued economies of scale, just as multinational corporations did, and so they sought out overseas partners and markets to develop industries that were every bit as cosmopolitan as Shell, Nike, or McDonald’s. The title of this book reflects this global reach, as criminal corporations aspire to penetrate markets the world over, mirroring the global goals of legal entities such as McDonald’s. They first became visible in Russia and Eastern Europe, but they were also exerting an influence on countries as far away from one another as India, Colombia, and Japan. I spotted them in the early 1990s when I was covering the wars in the former Yugoslavia for the BBC. The booty paramilitary units brought home with them after destroying towns and villages in Croatia and Bosnia was used as capital to establish large criminal empires. The bosses of these syndicates became rich very quickly. Soon they established smuggling franchises that conveyed illicit goods and services from all over the world and into the consumer paradise of the European Union. As a writer on the Balkans, I was invited to many conferences to discuss the political issues behind the disastrous wars in the region. It was not long before I received invitations to gatherings discussing security issues. Politicians, policemen, and nongovernmental organizations (NGOs) were all hoping to learn what lay behind the immense power of organized crime in the Balkans and beyond. However, most knowledge of the new wave of global crime was anecdotal at best. Nobody had connected the dots. Initially, I looked at the networks and motives of criminal groups in the Balkans but quickly realized that in order to understand crime there, I would have to extend my research to other parts of the world: the regions that produce criminal goods, such as Russia, South America, Africa, India, and China; as well as the regions that consume them, such as the European Union, North America, Japan, and the Middle East. Among the many consequences of the Soviet collapse was the emergence of a thick belt of instability that began in the Balkans and stretched all the way across the Caucasus, the so-called stans of Soviet central Asia, and on to the western edge of China and the North-West Frontier of Pakistan. This was the New Silk Route, a multilane criminal highway that linked the belt with other troubled regions such as Afghanistan and which permitted the swift and easy transfer of people, narcotics, cash, endangered species, and precious hardwood from Asia to Europe and farther to the United States. This clutch of uncertain new states on the southern periphery of the former Russian empire was born as the pace of globalization accelerated. Countries in Western Europe and the Mediterranean proved a powerful magnet for those scrambling to seize power along the New Silk Route. Money translated directly into political power and vice versa. And so those harboring ambition in the failing states needed the New Silk Route for three related transactions: to transfer cash to the sanctity of Western banks and real estate; to sell illicit goods and services into the European Union, the United States, and eastward to Japan; and to buy and sell arms within the former Soviet Union and to export them into the world’s trouble spots. The deepening links in a globalizing world magnify the impact of immense disruptions to the international order like the collapse of the Soviet Union. And for the first few years after the event, nobody had the slightest notion what the sudden injection of huge sums of mineral wealth and criminal profits into the legitimate and shadow economies actually implied. And those who did observe some changes in the way the world worked were frequently baffled by it. What was a cop on the beat in leafy Woking expected to know about the internecine struggles of the Caucasus? Academics and researchers have channeled considerable energy into understanding the process of “licit” globalization, a process that is largely regulated and quantifiable, although hedge funds and private equity sometimes appear to have slipped their moorings. But since the liberalization of international financial and commodity markets on the one hand and the fall of Communism on the other, the shadow economy has shot up as a percentage of global GDP. According to figures culled from the IMF, the World Bank, and research institutes in Europe and North America, it now accounts for between 15 and 20 percent of global turnover. Of course, this includes a multitude of sins, such as tax avoidance, that cannot be ascribed to a growth in transnational criminal conspiracies. But given that the shadow economy has become such an important economic force in our world, it is surprising that we devote so little effort to a systematic understanding of how it works and how it connects with the licit economy. This shadow world is by no means distinct from its partner in the light, which is itself often far less transparent than one might suspect or desire. In both banking and commodity trading, the criminal operates much closer to home than we think. That vast unregulated economic area is a swamp that contains protein-rich nutrients for a host of security problems. International terrorism certainly feeds in these same grounds, but in terms of the death and misery caused, terrorism is a primitive and relatively insignificant species. Crime and the pursuit of money or political power have proved incomparably more damaging over the last two decades. The concentration of huge resources on fighting terrorism to the neglect of other security problems is the consequence of chronic mismanagement, especially under the administration of President George W. Bush. It is striking how all opinion polls in Iraq since the invasion have placed corruption and crime in equal first place with terrorism as the major concern for citizens. The impact of the former—not just in Iraq alone but across the Middle East—will last long after the latter has diminished. From the Balkans, which I knew well, I embarked on a journey around the world in an attempt to trace the history of the astonishing growth in organized crime and the shadow economy over the last twenty years. On my travels, I met fascinating characters of great intelligence, vitality, courage, wit, and spirit. Many were criminals, some were victims, others were politicians, policemen, or lawyers. Almost all were happy to tell their strange, frightening, and even funny stories. The nature of the topic means that many were only willing to speak anonymously and names have often been changed. * I would like to thank all those I interviewed and consulted for their time and their profound insights. I hope their stories contribute to solving the puzzle of how organized crime fits in to a globalized planet. I also hope they offer some clues as to how politicians and police might address these problems to prevent men and women, such as Karen Reed, from falling victim to this shadow world. *Indicated by the italicization of a name on first appearance.